As a wedding photographer one of the most important parts of the wedding day timeline is capturing the wedding ceremony. 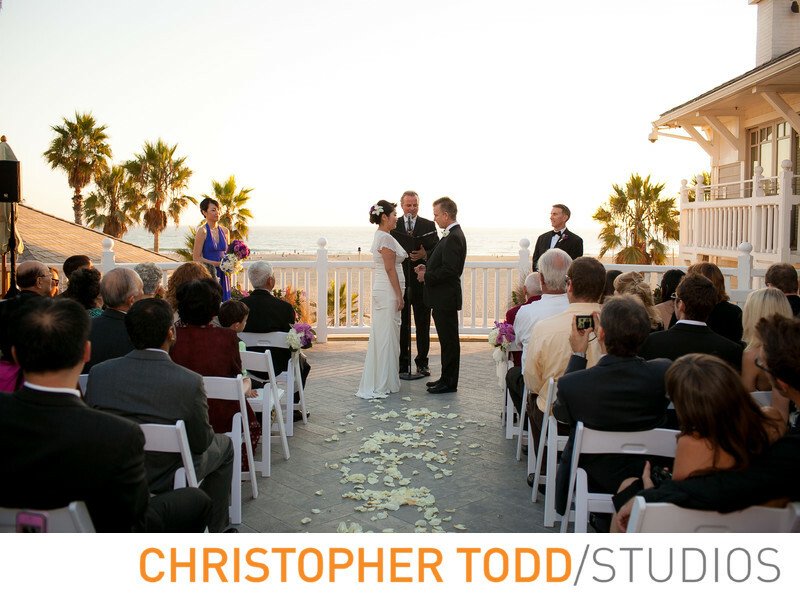 Here the couple exchanged vows at Shutters on The Beach in Santa Monica. This was a beautiful beachfront ceremony. After the kiss the couple and I went around the hotel for a quick romantic portrait session. Followed by their grand enterance into the reception. Location: 1 Pico Blvd, Santa Monica, CA 90405. 1/200; f/3.5; ISO 100; 35.0 mm.